Ever since he founded his furniture design and making company in 1992 Kevin Stamper's name has been synonymous with dramatic and powerful furniture. 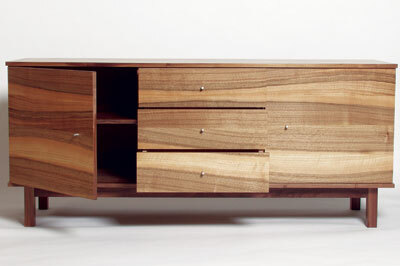 Fusing traditional cabinetmaking and a fascination with the shapes, textures and colours of the urban environment Kevin produces timeless pieces packed full of character. F&C find out more. Kevin Stamper: We're just finishing off a set of wardrobes in maple (Acer campestre), figured weathered sycamore (Acer pseudoplatanus) and sapele (Entandrophragma cylindricum) for a client in Surrey and a dining table and set of chairs in walnut (Juglans regia) and quilted maple (Acer campestre) for Artifex Gallery. On the design side, I'm working on a pair of alcove display cabinets in ebony (Diospyros spp.) and sycamore (Acer pseudoplatanus), a long clock-case to accompany a dining suite we made some years ago and a display cabinet and end table for a couple in Barnes. 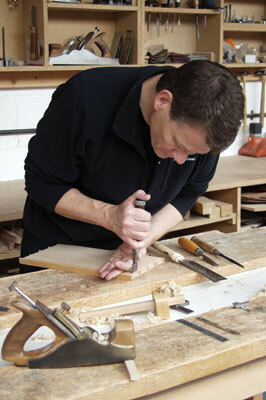 We're about to start making exhibition pieces for Celebration of Craftsmanship and Design in August. 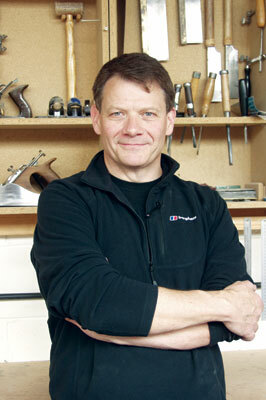 KS: After studying Design and Technology for four years at King Alfred's College, Winchester, it was all I wanted to do. I'd been keen on making things before, but coming face-to-face with bespoke furniture made by the top makers of the day was eye opening - how did they achieve such perfection in a material as unforgiving as wood? KS: Sometimes it's the wood itself; the colour, grain pattern and texture. More often it's colours, light, shapes and textures in the environment - whether urban or natural. KS: Leonard Cohen - there's always a story to be told. KS: That it still flourishes in the face of economic disaster and cheap imports. There's so much ingenuity, creativity and - let's face it - stubbornness shown by designer/makers that the work stays ahead of fashion and will always attract discerning buyers. KS: Reading the works of the great James Krenov made me realise there was much more to furniture making than purely craft and design; that there was a philosophy surrounding it as well. 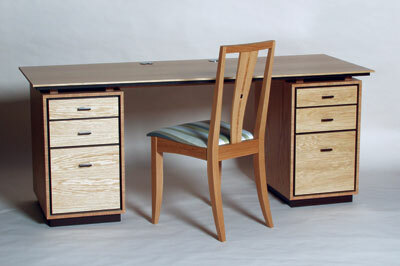 On a personal level two lecturers at college, Ken Pugh and Brian Kirk, for their craftsmanship and design ethos. KS: Without technique design can be unachievable, without design technique becomes repetitive and somewhat limiting. KS: Not obsessed enough; CNC machines may be excellent at both repetitive and complicated processes, but without 'the mark of the hand of the maker', the work has no soul. KS: I've had a long and happy relationship with both Artifex Gallery and Artizana Gallery - before it closed a few years ago. I occasionally exhibit at stand alone shows such as Celebration of Craftsmanship and Design, but most of my work comes through relationships with other industry professionals built up over the last 25 years. I'm very hopeful that the success of Makers' Eye will open up new and exciting markets both in the UK and abroad. KS: Very uncomfortable. It never has the fulfilment of making your own designs and it often comes down to a financial transaction. KS: Haphazard and random. It takes its own time and if I force it, it comes out less effective than it should have been. Clients often have to be managed through this process! KS: Break it down to its constituent parts and plan very carefully. I hope to know what will be happening at each stage - sometimes it works. KS: No. There will always be a place for individual design and functionality in an increasingly uniform world. KS: Stick to your design ethos - no one else will make it the way you want it. Maybe find a partner with a good job and a pension! KS: Free downloaded CAD programs - everyone thinks they're a furniture designer just because they can draw a rendered cube and punch a hole in it; no thoughts of construction, materials, proportion, line, etc, etc.